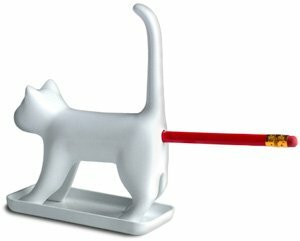 Sharp-End Keep your pencils pointed with the hilarious meowing cat pencil sharpener. Insert a pencil into the cat's rear-end and it meows in protest while you sharpen. Wouldn't you? A fun desk accessory that will have the whole office yowling.